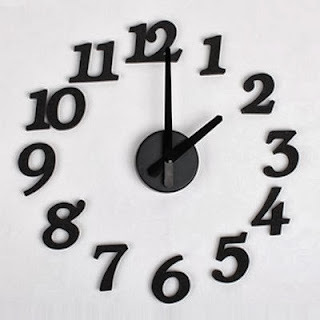 DIY Art Foam Wall Clock - Only $4.00 Shipped! Check out this DIY Design Art Foam Sponge Digit Wall Clock on Amazon for Only $4.00 + FREE Shipping! Let's be honest: you're only excited to look at a clock when you're waiting for it signal the end of a long day. And those clocks usually aren't much to look at. This DIY will make you happy to see what time it is, at any time of the day. Design your own clock, you can make it heart shaped or any other styles!